This volume aims to provide the reader with a contemporary account of his­ torical, diagnostic, treatment-management (including the individual and the service systems perspectives), and training dimensions of mentally ill/mentally retarded individuals from interdisciplinary perspectives. Emphasis is placed on current and evolving aspects of this topic. The broad scope of our approach is consistent with the concepts and practices that currently typify this topical area of clinical and research activity. This volume is divided into five sections. 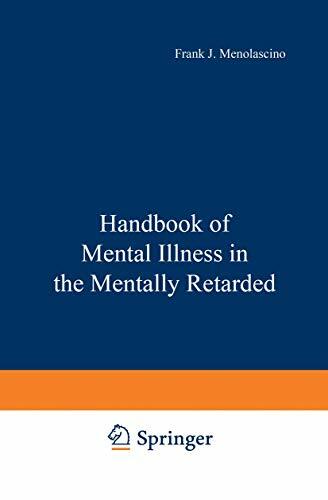 Part I deals with the definitional aspects: the nature and incidence, the historical aspects, and a view of assessing the types of needs of mentally ill/mentally retarded individuals. Part II ad­ dresses the key issues in treatment intervention: from an individual therapeutic aspect through vocational considerations, as well as the role of the parents in these helping processes. Part III focuses on systems of service delivery, ranging from inpatient and day treatment models to the delivery of services in the home; at all times, the emphasis is on programs that have been successful. Part IV presents a modern perspective on the multiple challenges in training both men­ tal health and mental retardation specialists, as well as the critical dimension of providing a well-trained cadre of paraprofessionals in both fields. And finally, Part V encompasses key current research perspectives as well as possible future directions for this rapidly growing area of professional interest and involve­ ment.